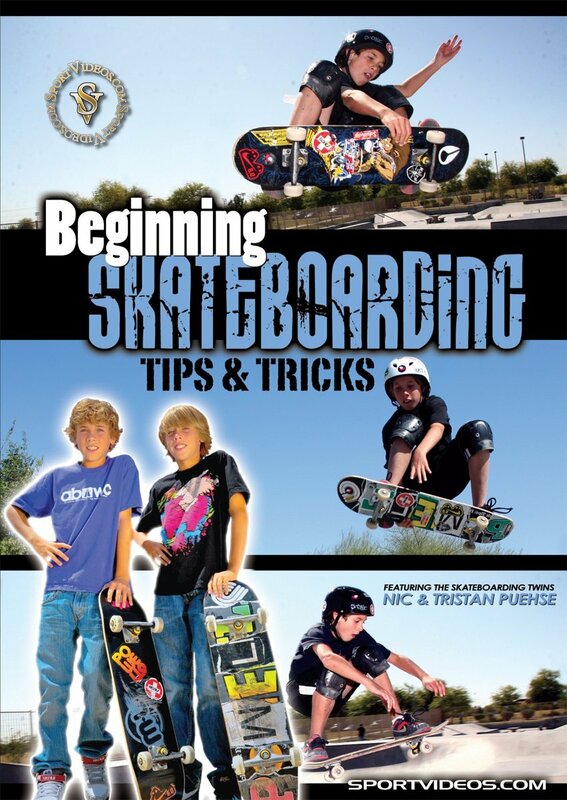 Beginning Skateboarding is the perfect DVD for anyone wanting to learn and master the basics. Nic and Tristan Puehse (aka Skateboarding Twins) will teach you step-by-step how to become a good skater. Among the topics covered are: equipment, stances, ollies, kickturns, carving and pumping, manuals, dropping in, axel stalls, tail stalls, grinds, rock to fakies, ollie 180s, 50-50 grinds, fakie rocks, melon grabs, indy grabs, fakie half cabs, pop shuvits, roll ins, boardslides and kickflips. This DVD will help you start shredding your local skatepark in no time! About the Coach: Nic and Tristan Puehse are skateboarding sensations whose videos on YouTube have been viewed more than 10 million times and are among the most-watched skateboarding videos of all-time. They are 11 year-old fraternal twins born on December 8, 1997 who began skating at the age of 6. Since then, they have won more than 60 competitions between them. Nic and Tristan have been featured in the New York Times, appeared on the Ellen DeGeneres show, CNN, ABC Nightline, Fuel TV and Sports Stars of Tomorrow.